We specialise in guitars that embody the spirit of Heavy Metal, offering a wide range of custom options, bespoke body graphics, and inlays. 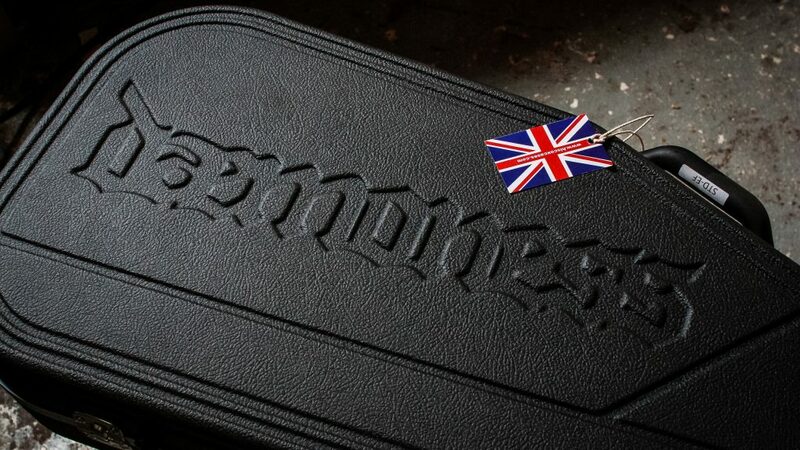 Our guitars are handcrafted in Bristol, England, and we ship worldwide. We offer a wide range of body shapes, from classic to extreme, all of which have been modernised and refined to maximise performance and playability. If required, some of these body designs can be chambered where appropriate. We make each neck using quartersawn timber for stability and strength. 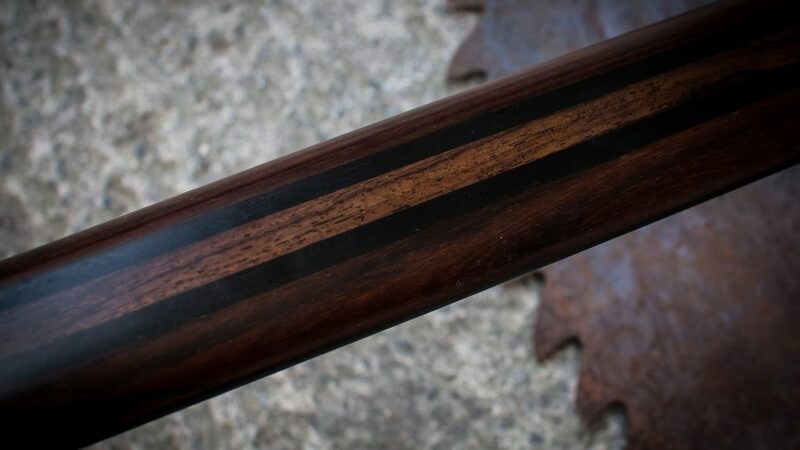 We offer three or five-piece laminated necks, and also 1-piece necks when using appropriate timber (Carpathian Maple, Wenge, certain types of Mahogany). We use two-way truss rods and our necks now feature dual-graphite reinforcement, which further optimises strength and stability. 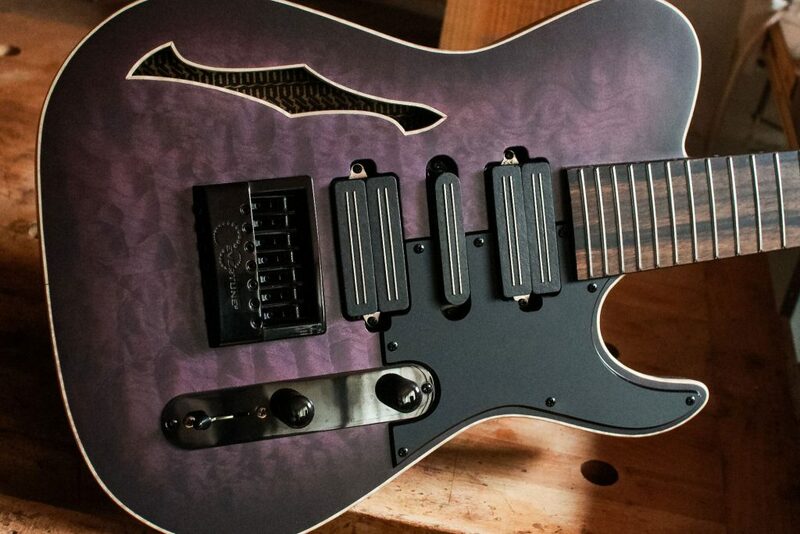 We offer custom neck profiles as well as two of our own proprietary neck profiles. 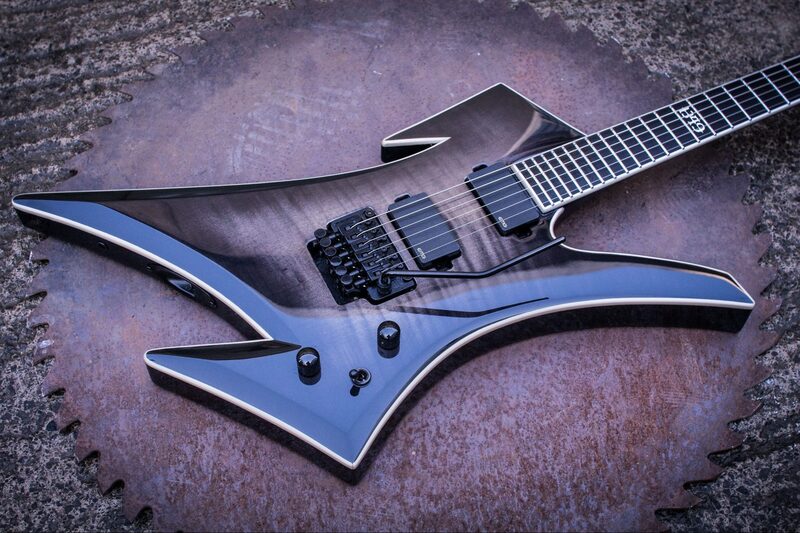 The Daemoness Flatbacker is a slim neck profile with rounded shoulders. 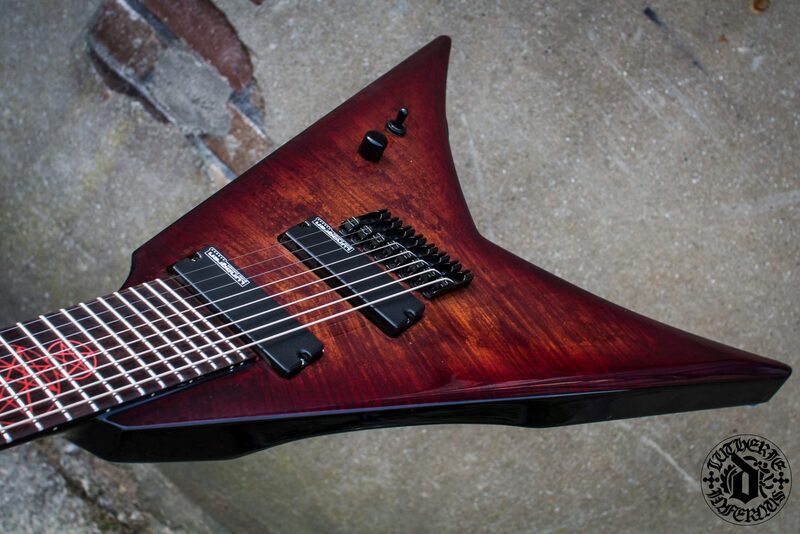 The Daemoness Shredator is also a thin neck profile with smaller, more refined shoulders. Both of these profiles have a reduced "taper" in comparison with standard production guitar necks, with less thickening of the neck as you ascend to the higher frets. We can recreate any neck profile you desire for your custom guitar. Necks can be finished in gloss or matte polyester lacquer. 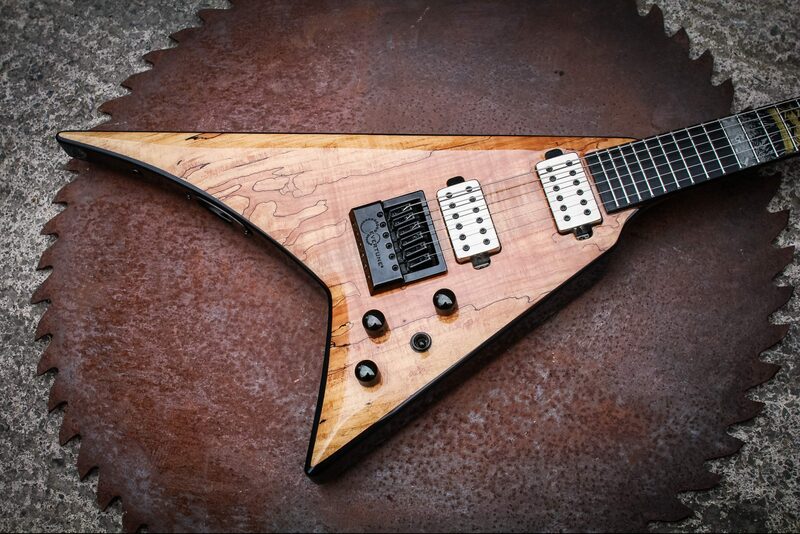 We source all of the timber used in Daemoness builds from David Dyke Luthier Supplies in Sussex. 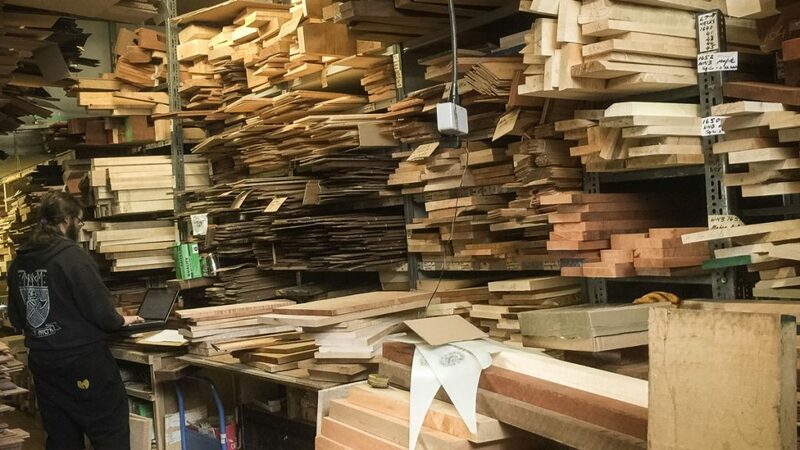 David has been supplying luthiers with quality timber since the early eighties, and also has an extensive stock of exotic timbers. All of the models we offer are adaptable to accommodate the needs of extended-range players. 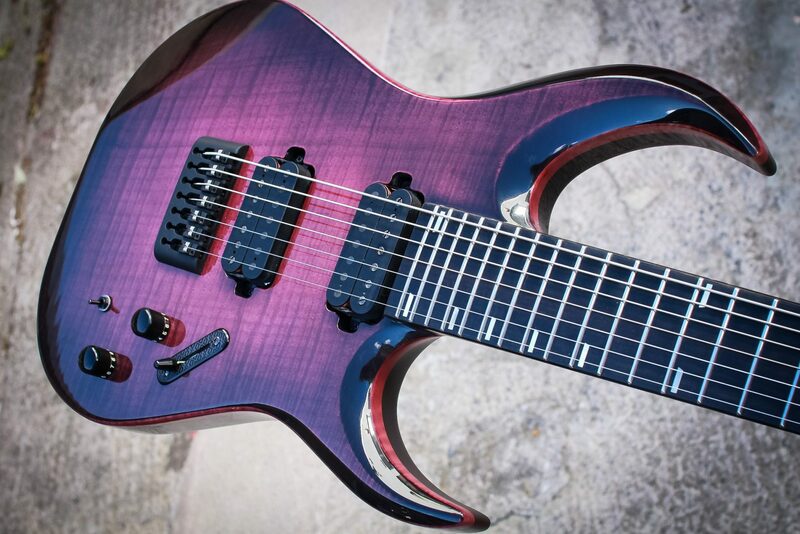 Each of our models can be built as a 6, 7, or 8-string guitar with a fixed scale length, or a multiscale with fanned-frets. 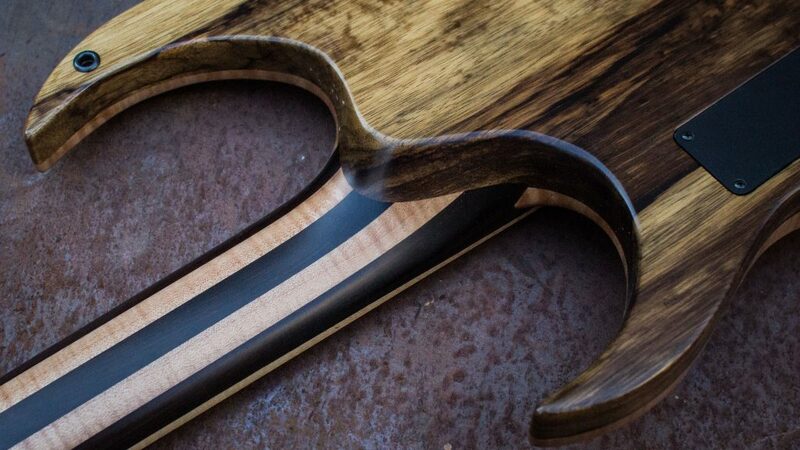 We carve modern, comfortable heels on all of our instruments. This can be achieved with both bolt-on and set neck joints. Your guitar should aid and inspire you every time you pick it up, so all of our models have uninhibited upper register access at the core of their design. If you have a need for an extended cutaway, we can accommodate this easily. We now use custom-compensated Graph Tech TUSQ XL nuts on all builds (unless a locking nut is required). These nuts are self-lubricating, which eliminates tuning stability issues at the nut, and our custom compensation aids intonation. 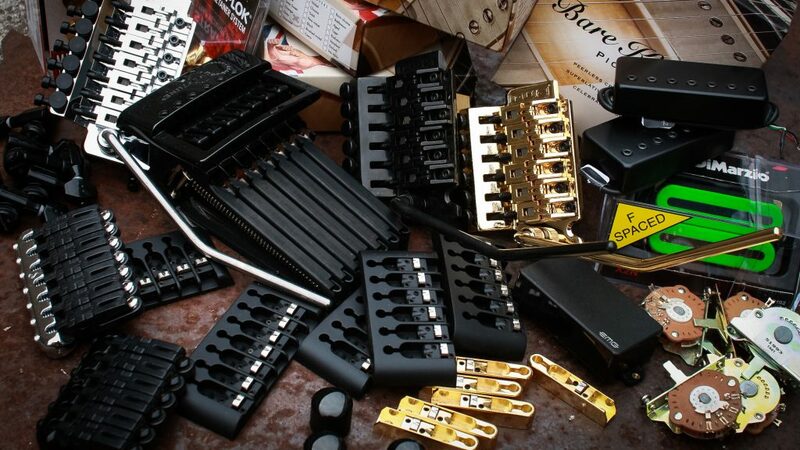 We only use high quality parts and components on our guitars. There are certain pieces of hardware that you will see again and again on our builds as they have an inherent synergy with our designs. However, with the custom nature of our guitars, we will gladly incorporate specialised equipment into your build where appropriate. Our guitars are finished with a polyester lacquer, available in high gloss or matte. 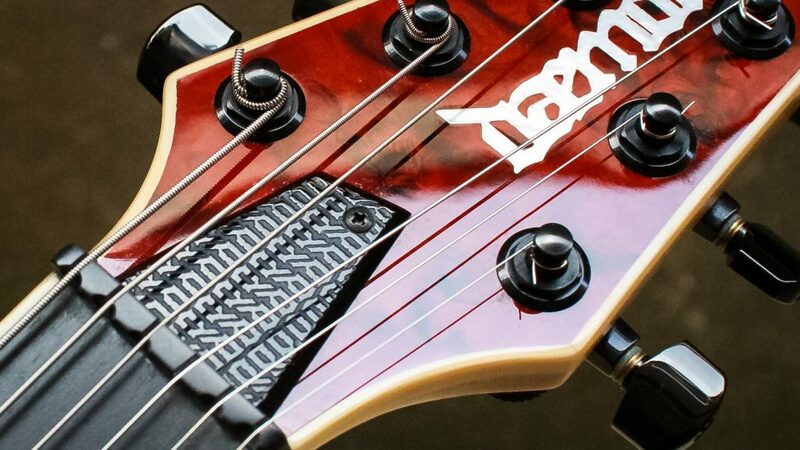 Our lacquerer has many years experience and uses the highest quality materials to ensure that Daemoness Guitars are finished to the highest standard. The finish on our guitars is both thin and extremely hard-wearing, ensuring incredible looks and an uninhibited tone. 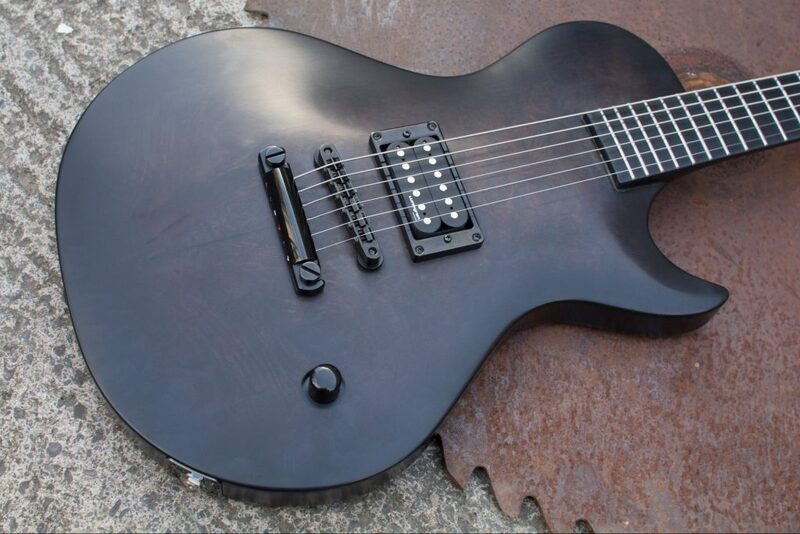 Whether you want a classic black gloss finish, clear natural lacquer over a highly-figured top, or something totally unique, we have a huge range of finishes available. Custom graphics are not essential if you want a Daemoness, but each guitar that does feature them is treated as an individual piece of art. Dylan is constantly developing new techniques for the integration of painting and drawing techniques into the technical conventions of modern luthiery, and this allows us to offer distinctively unique guitars—the likes of which cannot be found anywhere else in the world. 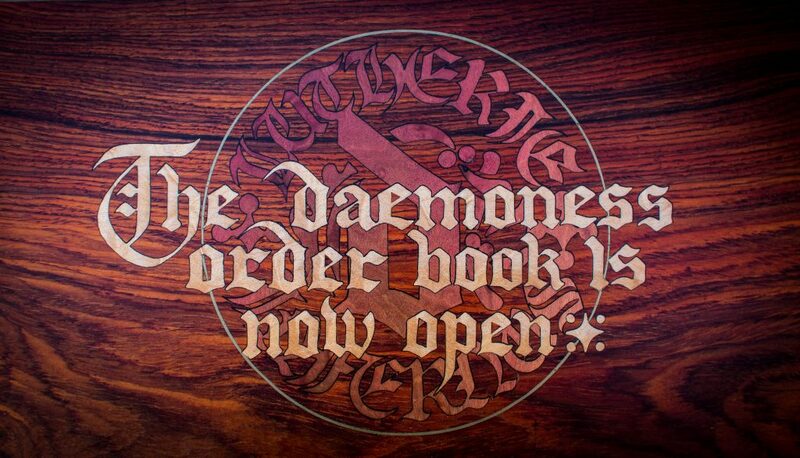 If you have a theme in mind for your Daemoness Custom, please contact us to talk about it. We offer Daemoness cases made by Hiscox (www.hiscoxcases.com) that will fit our main models like the Cimmerian, Jotun, and Chronicler. As some of the guitars we make come in odd, extreme shapes, we often commission custom cases for them. If you want a custom case for your build we can recommend a case manufacturer that we have worked with before. 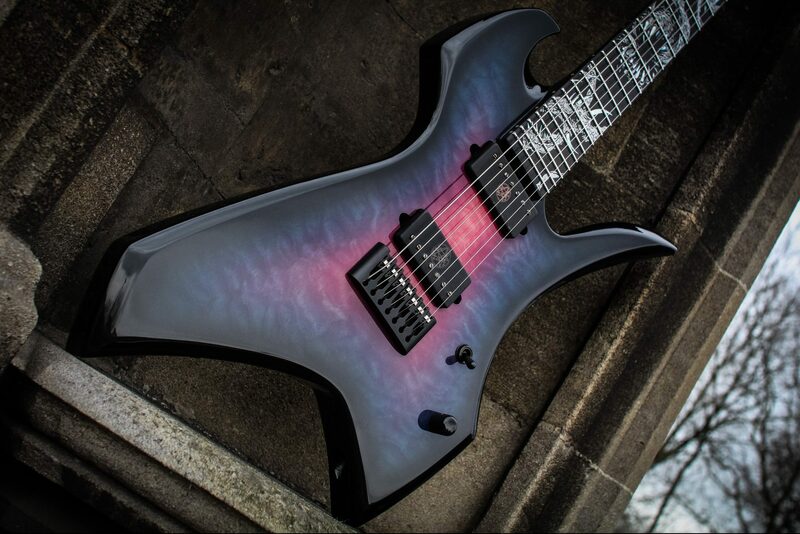 The base price of a Daemoness custom build is £2000 (ex-VAT) plus the cost of timber, parts & hardware, and individual custom options. We do not differentiate between the range of proprietary Daemoness body shapes when we calculate prices. 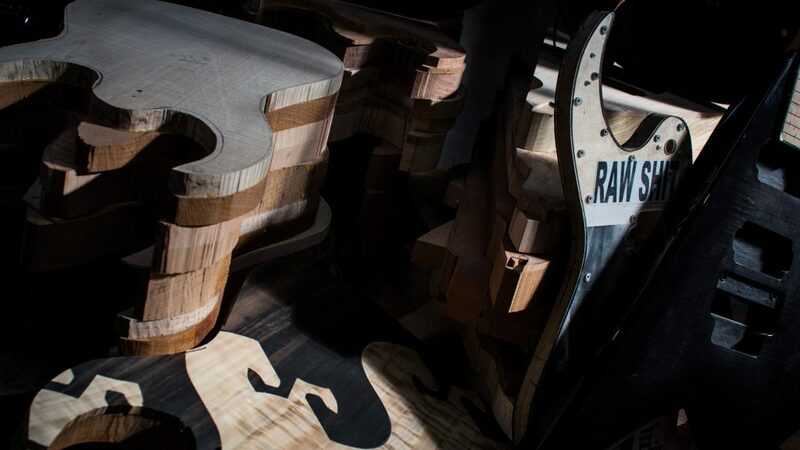 For highly specialised builds or a guitar with a completely custom shape, we price the guitar according to the demands of the specific build, but within the same framework of a custom base price to which custom options and materials are then added. 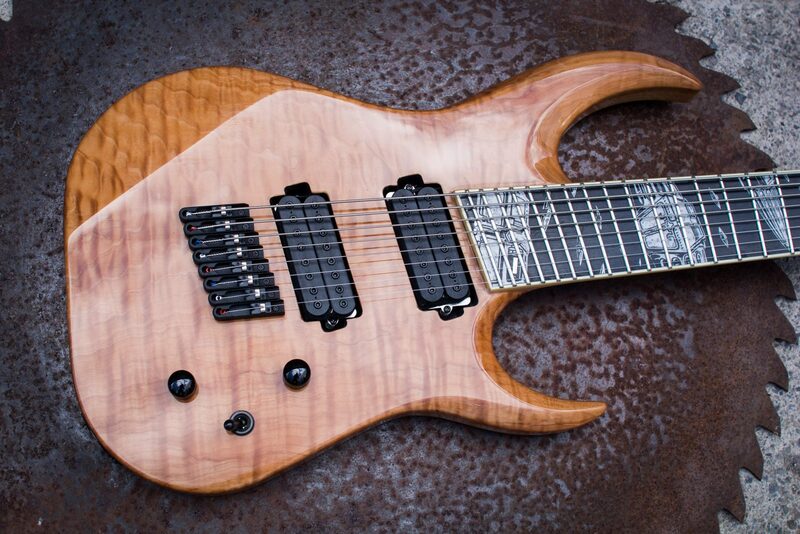 Multiscale guitars are more demanding to make than standard scale guitars and this is reflected in their price. 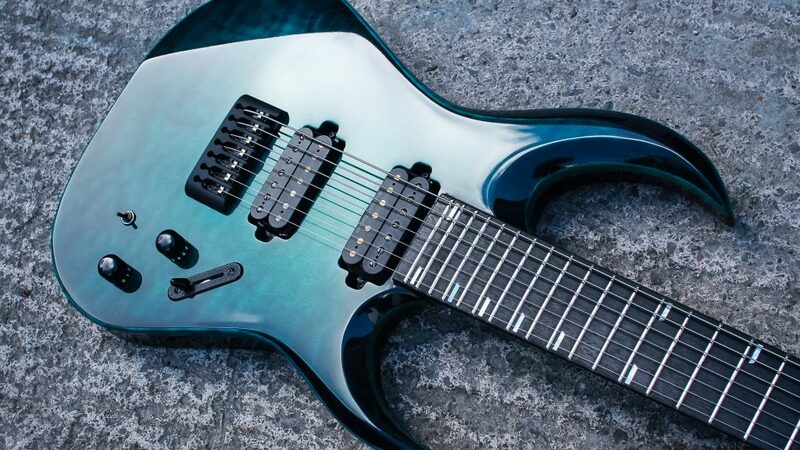 We have standardised the 8-string fan at 25.5"–27" with a perpendicular 8th fret, which we highly recommend, but if you want a completely custom fan arrangement to suit your specific requirements as a player, we can build this for you. With the sheer diversity of graphics and inlays that feature on our guitars, we calculate the cost of these on an individual basis, dependant on the complexity of the designs, the materials, the technical challenges, and the time required to complete the work. We cannot have a strict and standardised approach to pricing this work (like we can with the timber and hardware), but our primary aim in this regard is to realise your concept at a practical price based on all of the above factors. 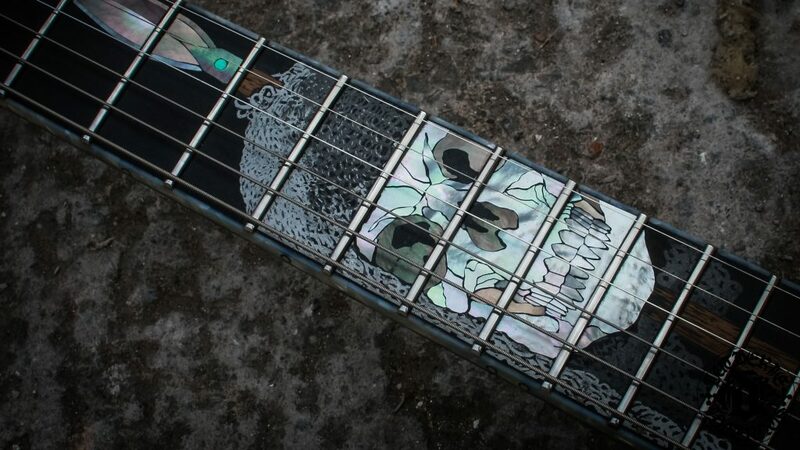 For simplistic 12th fret area inlays, artistic design work starts from £300, but more complex designs that require hand-painted or trans-etched body art, finely detailed hand-cut pearl inlays, or full board line-work inlays will cost considerably more. 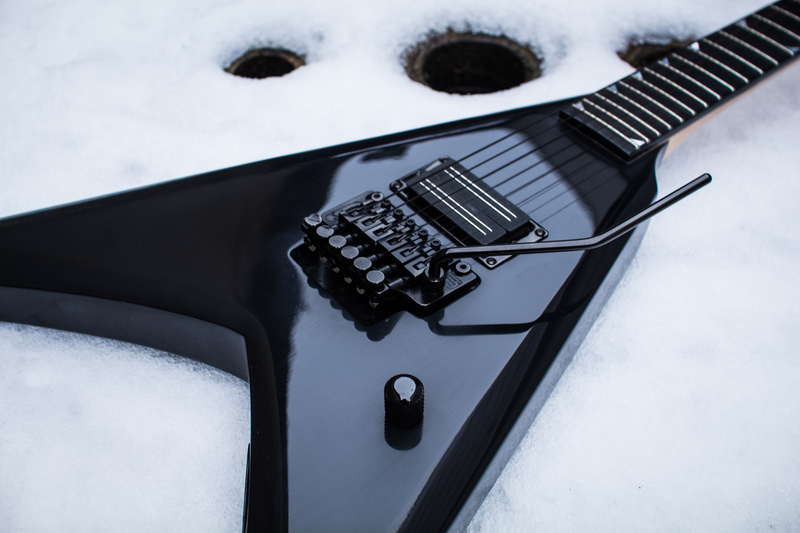 If you have an idea for an artistic concept that you would like us to explore for your Daemoness Guitar, it would be our pleasure to discuss it with you. As a guide, the estimated queue time is 30 months for a build to commence, but please be aware that this may vary depending on the complexity of our upcoming builds. We require a £600 deposit (this includes VAT where applicable) for all custom orders. Please note that deposits are non-refundable. Once we have received your deposit we will record your name in the Daemoness order book and this will secure your place in the build queue, which we work through sequentially. We recommend that our customers use the waiting period to thoroughly consider and decide upon the specifications of their Daemoness. 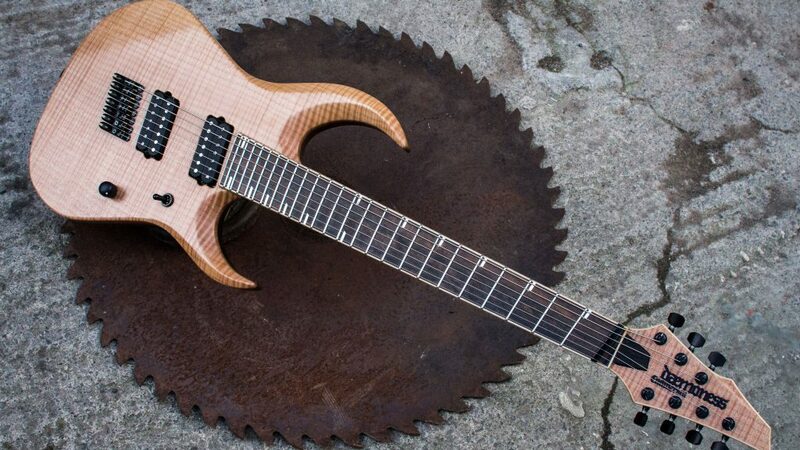 We will then contact you when your build is ready to commence to thoroughly discuss every aspect of your spec before we begin work on your guitar. If you would like to discuss an idea for a custom build, get a price estimate, or you are ready to pay the deposit and commit to a build, then please contact us using the email address below.